Deftones are an American alternative metal band from Sacramento, California. 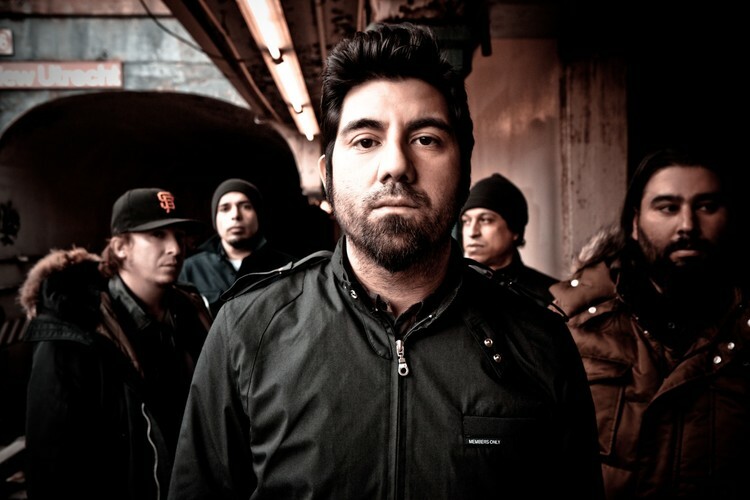 The band, which was founded in 1988, consists of Chino Moreno (lead vocals, rhythm guitar), Stephen Carpenter (lead guitar), Frank Delgado (keyboards and turntables), Abe Cunningham (drums and percussion) and Sergio Vega (bass). Deftones have released eight albums since their inception. Their debut album. Adrenaline, was released in 1995 after numerous lineup changes. Success was found with their second and third albums, Around the Fur and White Pony, including a Grammy Award for Best Metal Performance for the song "Elite". Their mainstream success continued with their self-titled album in 2003; however, sales were lackluster compared to White Pony. The follow-up, Saturday Night Wrist, was released in 2006 after a temporary falling out within the band due to creative tension between Moreno and producer Bob Ezrin. Its completion was also delayed by Moreno's drug addictions and the dissolution of his marriage.